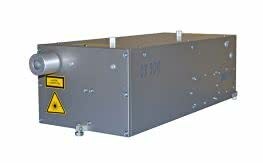 SOLAR LS presents a new model of completely air-cooled pulsed diode-pumped Nd:YAG laser. 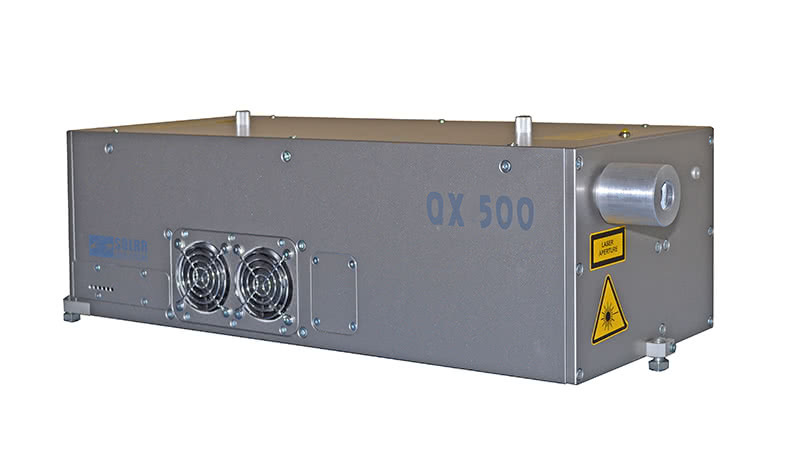 The QX500 delivers 160 mJ at 1064 nm in nanosecond pulses at repetition rates up to 20 Hz. 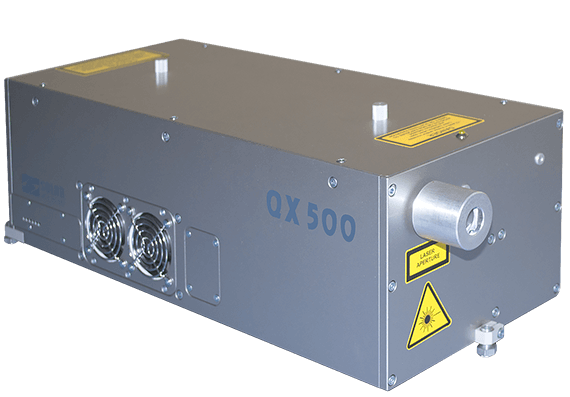 The QX500 laser features long-life laser diode bars and delivers excellent pulse-to-pulse and long-term stability which is ideally suited for use in scientific, industrial, and medical applications. Diode pumping reduces size, improves reliability, and eliminates most maintenance operations. Minimum service costs are conditioned by optical pumping using laser diode bars with more than 109 pulses lifetime. Stability of the parameters and the laser reliability are guaranteed due to dustproof housing design and thermal stabilisation of the optical cavity. 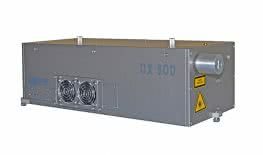 Compact laser design and complete air cooling not only simplify application of this device as a stand-alone unit, but also allow to integrate it into any equipment. 1) You can choose any PRR from 1Hz to 20Hz when placing an order. All the parameters are specified for 20 Hz. 2) With external LG105 unit. 3) Specified at 1064 nm. 4) With respect to QSW IN pulse. 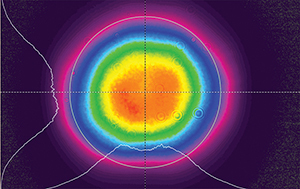 QX500 laser typical near field beam profile at 532 nm. QX500 laser head outline drawing. 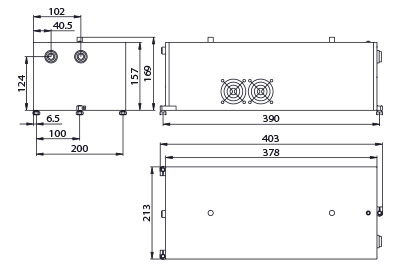 QX500 laser power supply outline drawing.